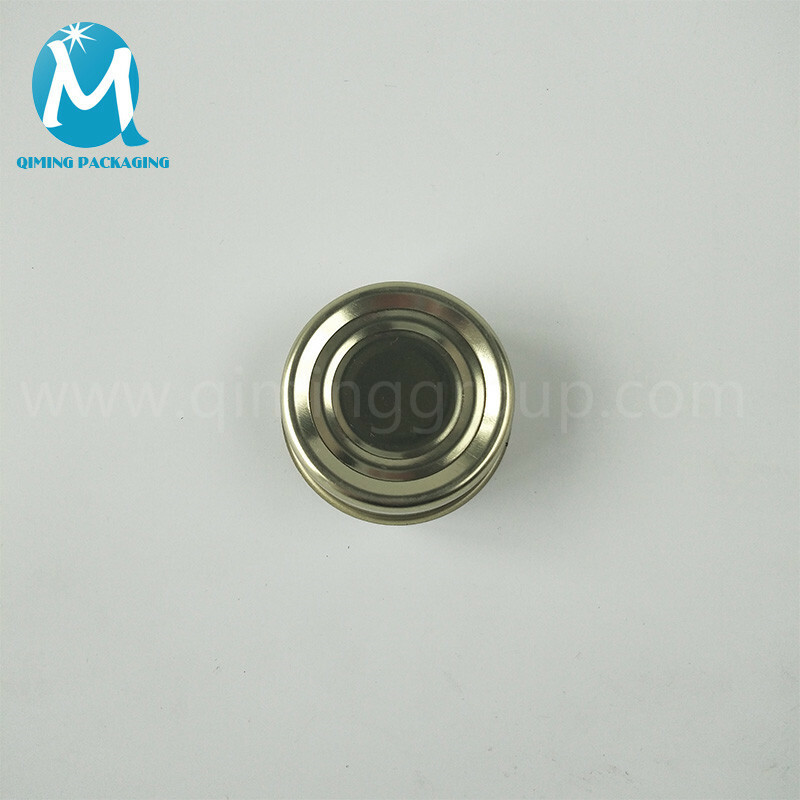 Qiming pet food tin can with easy open lid is commonly known as tin cans, iron boxes, is made of tinplate. Tinplate is tinning on the surface of the iron to protect the cans. Tin cans are extensively used, storage and transport. The inner wall of tin cans adopts inner coating process, is covered with a film, and a layer of film is applied on the tinplate to solve the problem of yellow rust. 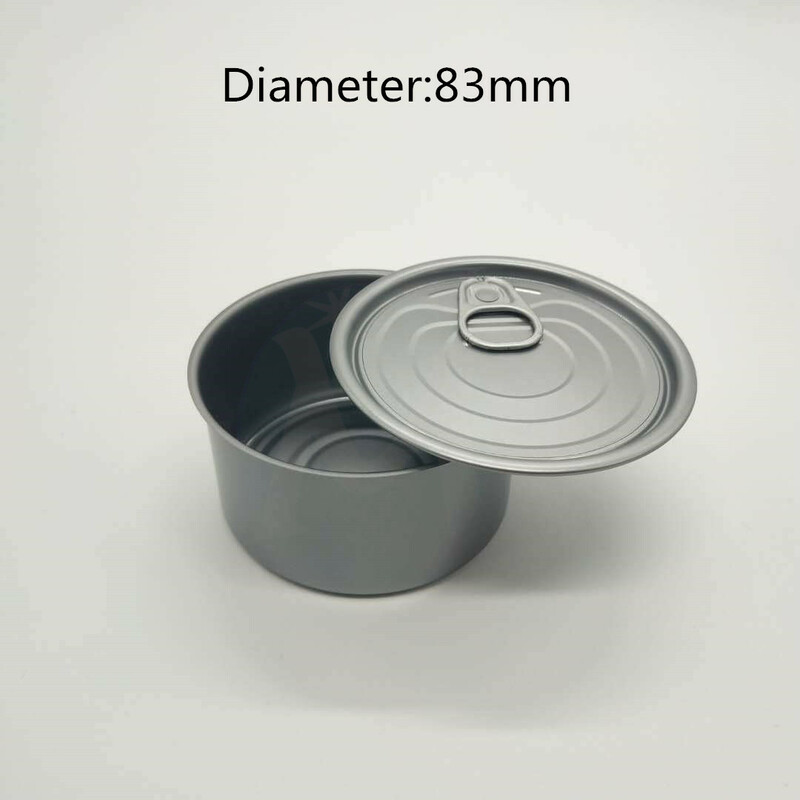 Pet food storage cans are widely used for cat and dog food, canned fish, pickles and so on. 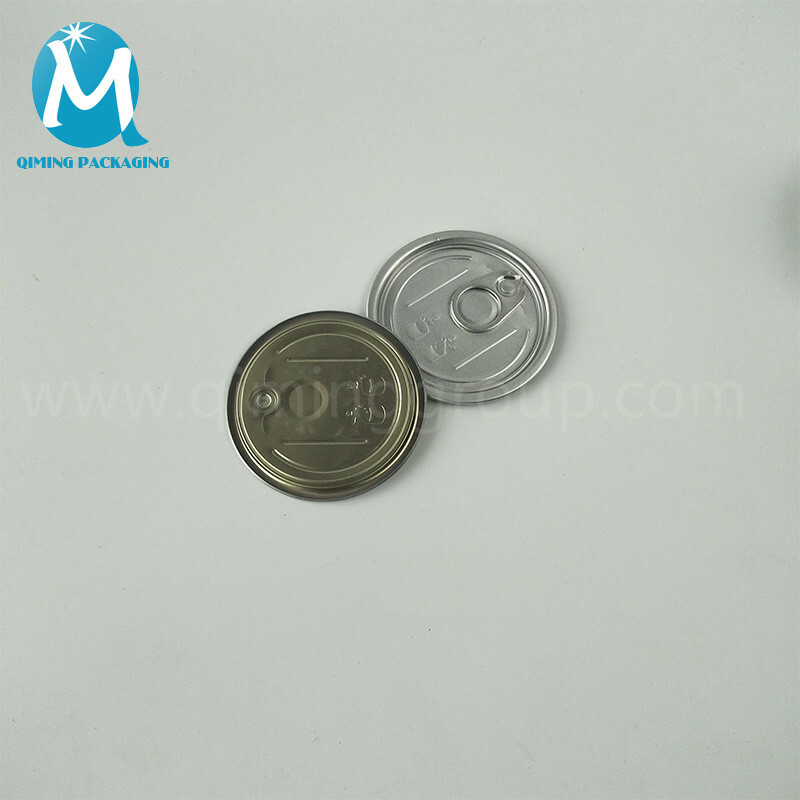 The features of tinplate cans are corrosion resistance, durable… Size can be customized. A variety of shapes are available, cylindrical tin can, square tin can. Pet food cap is also available. Free sample for you to check. Pet food tin is made of high-quality tinplate and the products quality is stable, Various specifications, support printing, and custom sevice。Free samples are available for quality and size check. Please contact our support team to arrange them today! 1. 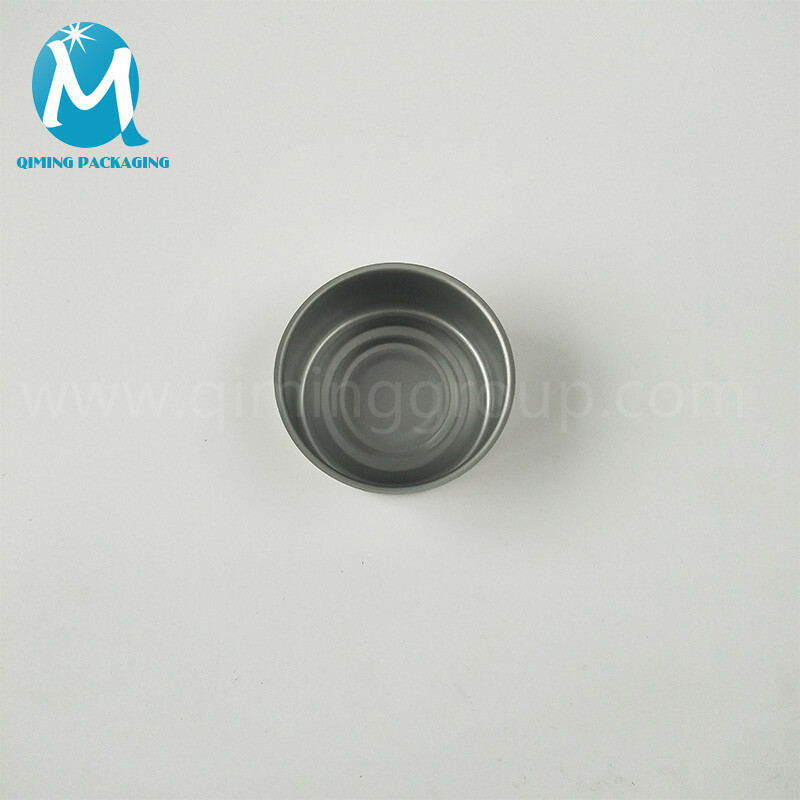 Good mechanical performance: Pet food tin can is compared with other packaging containers, such as plastic, glass, paper containers, etc., tin-tin cans are of high strength, and have good rigidity and are not easy to break. 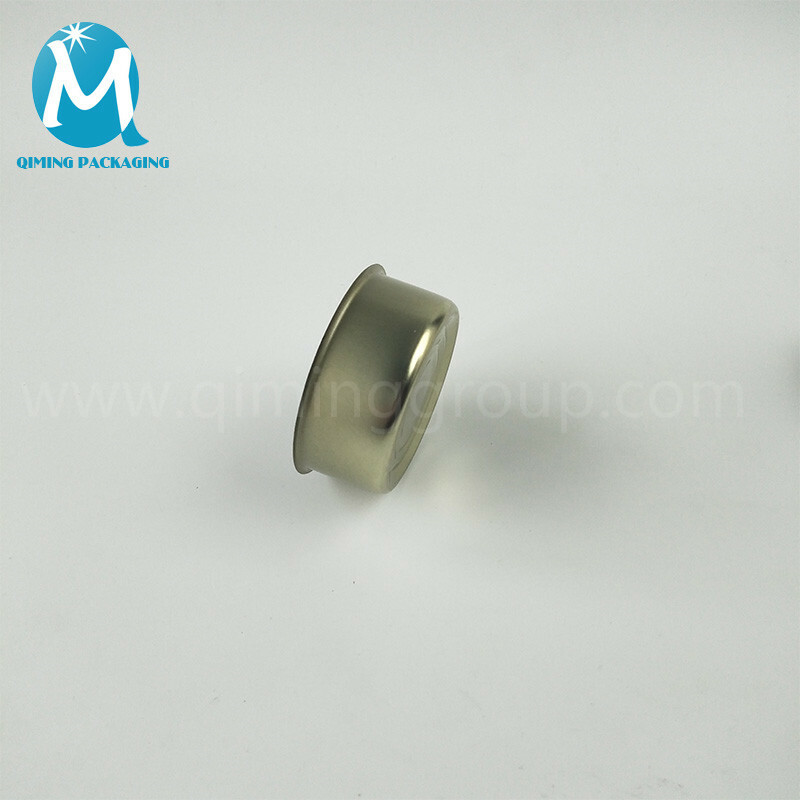 Not only can be used for small sales packaging, but also is the main container for large transport packaging. 2. Excellent barrier property: Pet food tin can have better barrier property than any other material, good air resistance, moisture-proof, shading and incense retention, and reliable sealing, which can protect the product reliably. 3. 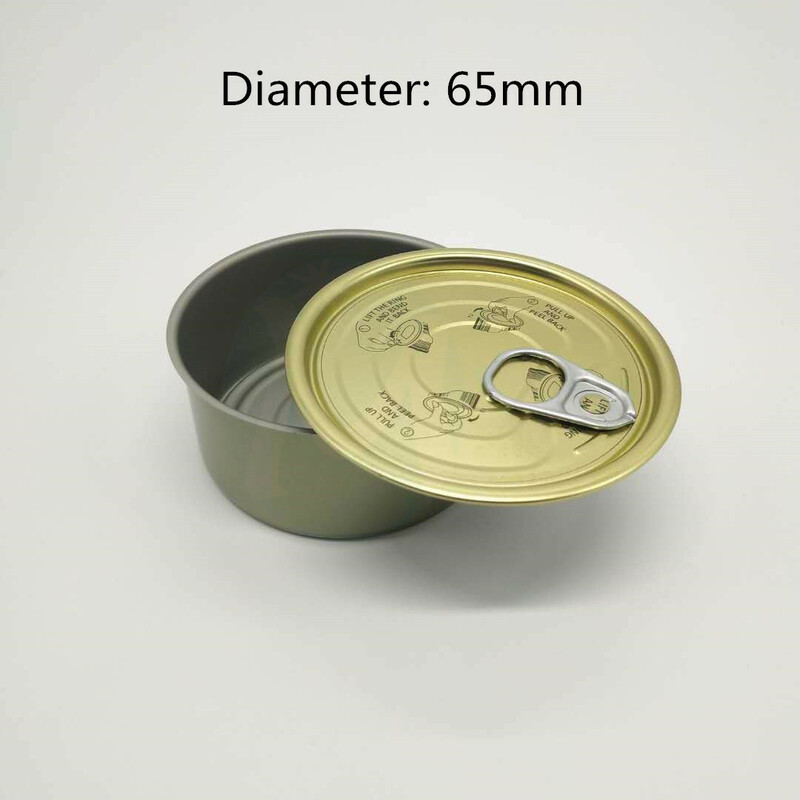 Mature technology and high production efficiency: the production of pet food tin can has a long history, and the technology is mature. It has a complete set of production equipment supporting it. 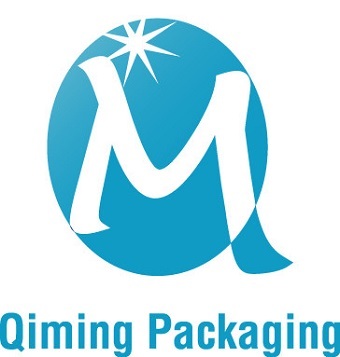 The production efficiency is high, which can meet the packaging needs of various products. 4. Exquisite decoration: good printing performance of metal materials; The design trademark of pet food tin can is bright and beautiful, and the packaging container made is attractive. 5. Recyclable reuse: pet food tin can is in line with international environmental requirements and future product trends. 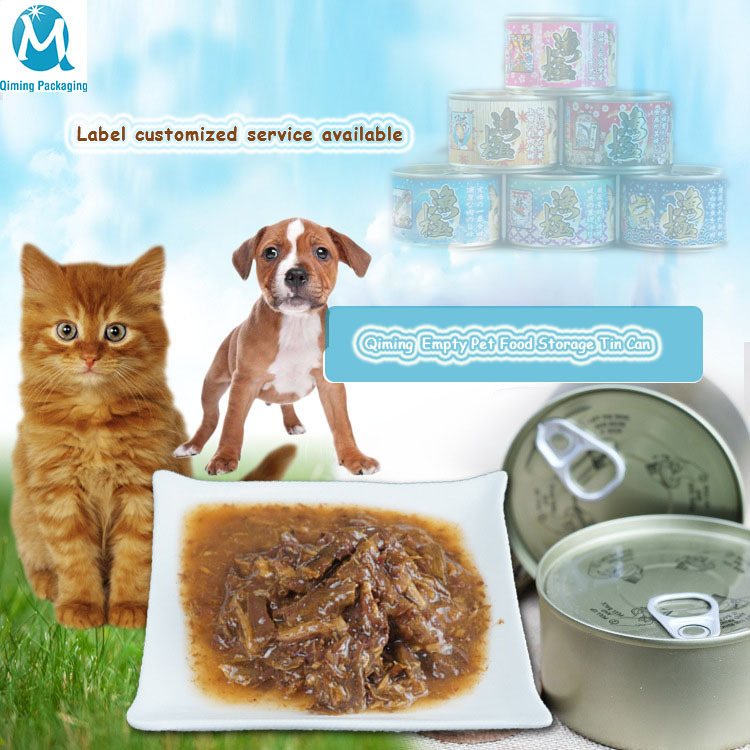 Application: pet food, dog food, cat food, wet pet food. Printing Type: Offset printing as usual, your other required method accepted.